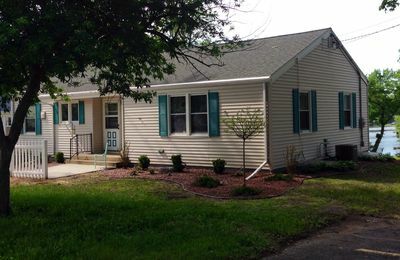 Home has been completely remodeled and is ready for your visit! 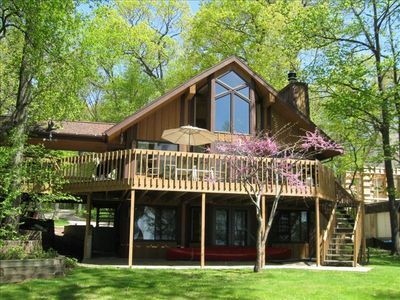 Get ready to enjoy your escape on Little Green Lake with this awesome log cabin exterior and modern furnishings inside. 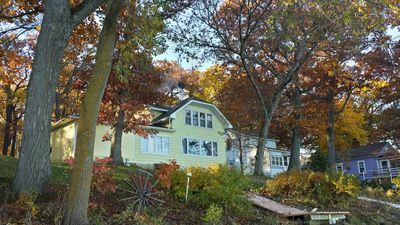 Conveniently located next to Vandy's Bar and Grill, this home had several updates in 2015 including new fixtures, new furniture, new deck, new appliances, new pier, and much more! 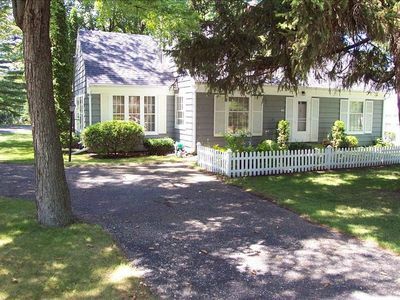 This 3-bedroom and 2-bathroom home is almost 1,900 square feet and spacious for the whole family. Sleeps 8 with 2 king beds and 2 queen beds. 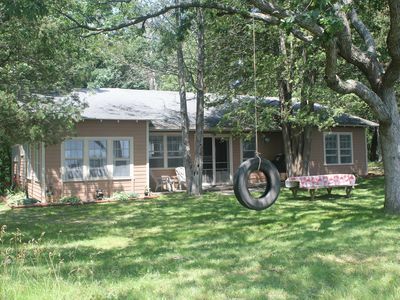 Spacious and expansive deck along the entire backside of the home and garage area leading to sizable backyard with fire pit. 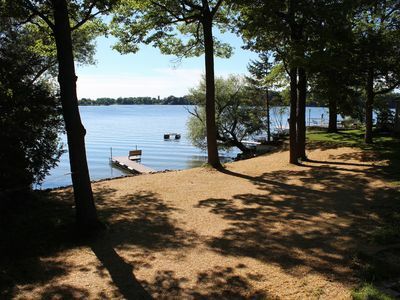 Roughly 60 feet of frontage with direct access to water and room to dock your own boat. 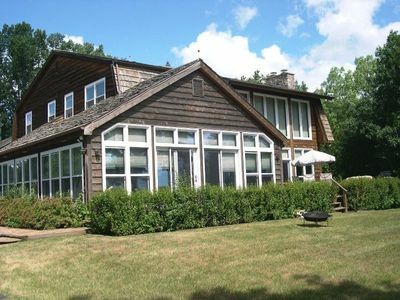 Along the southeast shore of Little Green Lake, a lake approximately 450 acres in size, this home is the perfect getaway for those that want some relaxation on the water, but the convenience of being near the local hot spot (Vandy's) for a Friday fish fry or afternoon happy hour. 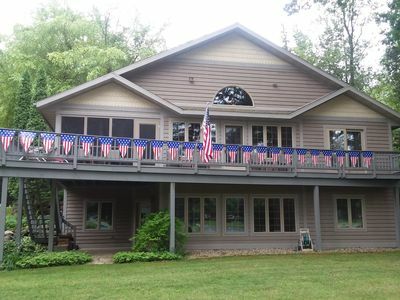 This home is a great year-round rental with plenty of activities both on and off the lake. 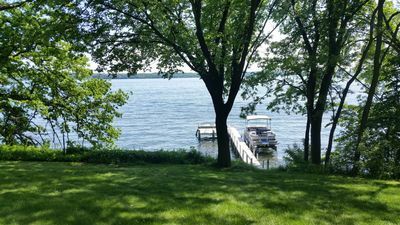 Whether you intend to fish, swim, go boating, play volleyball, use the beach, grill out, have a family picnic, visit Amish country, go antiquing, ice fish, go biking, go fish-fry hunting, go motorcycling, or you're just looking for a weekend away in a romantic venue with a lake, fire pit, and nature around you, you've got an excellent option in this home. 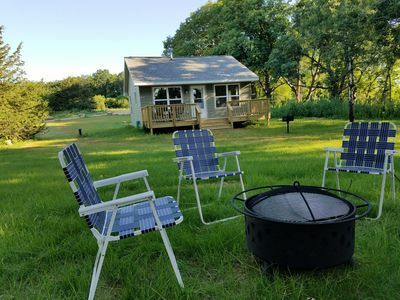 Whether you're looking for a fun summer place to unwind and get out on the water, or a cozy winter hideaway to escape with a warm fire, the Little Green Lake House may just be for you. 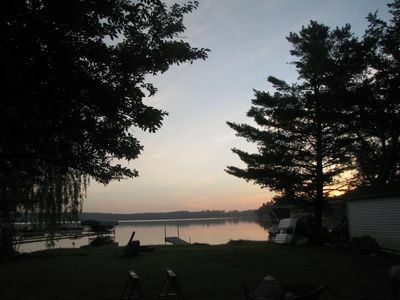 Perhaps you're an expert angler or an aspiring fisherman and you want to try your hand (and rod/reel) at a record muskie or nice sized pan fish. 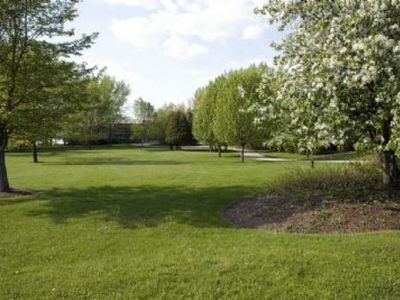 Or, maybe you're looking for a place to simply recharge with some good music, an outdoor fire pit, some s'mores, and a friendly game of volleyball. 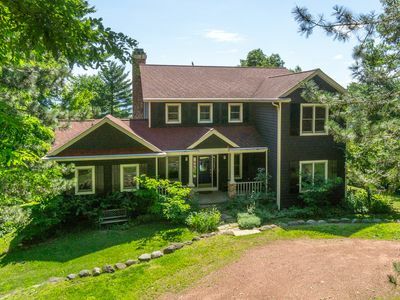 This home has everything you need to vacation without limits. 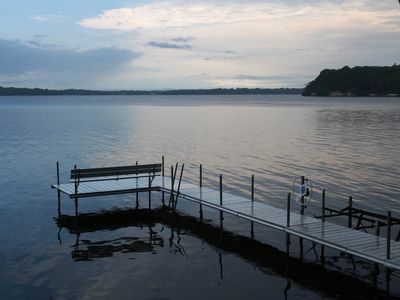 Little Green lake is 466 acres in size and is a multi-purpose sporting lake with enough space and depth (average depth of 10 feet and max depth of 28 feet) for skiing, tubing, or personal watercraft, and some of the best fishing in the State of Wisconsin on this Class A lake. 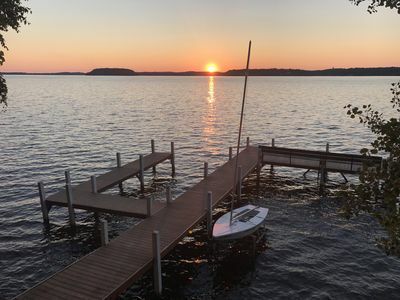 The lake is the southernmost Class A muskie lake in Wisconsin and provides for some of the best muskie, walleye, bass, and panfish fishing in the entire state. Wind tends not to be a big factor on this lake like on other comparable area lakes. 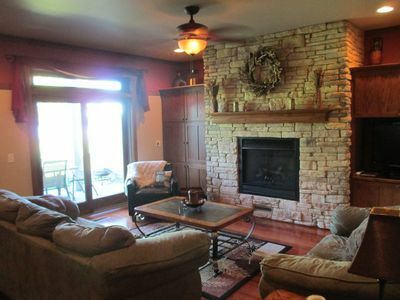 Guests are expected to treat this home as if it were their own, with proper care and respect. A 'House Rules' agreement is signed prior to rental acknowledging the important items. Pet Policy: 2 dogs are allowed with an additional pet cleaning fee. Smoking policy: Smoking is not allowed in the house or on the outdoor deck at any time. *All availability and pricing is subject to change and is not guaranteed until confirmed. 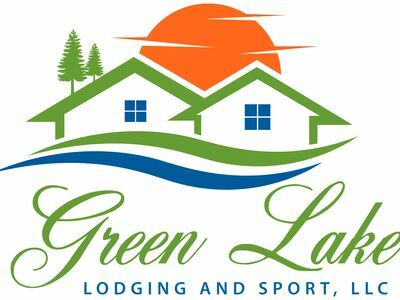 Pricing shown may not include holiday rates or multi-night price concessions. Please inquire for your specific stay to obtain the most accurate pricing and availability. 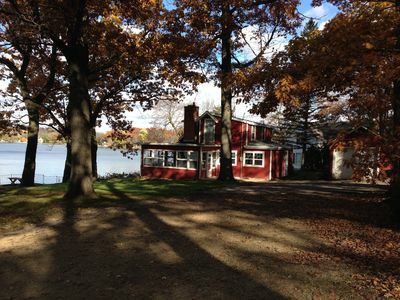 Aunt Edna's Cottage: On The Water ~ A Stone's Throw To Downtown. Amazing Sunsets - Perfect Fall Get-a-way!! Booking Fast for 2018! 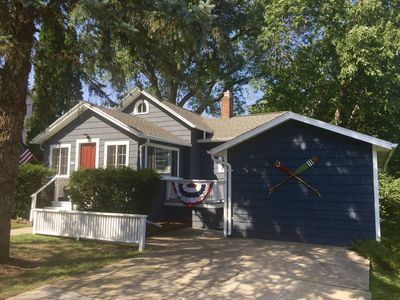 Last home available for EAA AIRVENTURE ! Reserve now!